Founded in 1884 by Michael Marks and Thomas Spencer, Mark & Spencer is one of the most renowned British multinational retailers in the world. 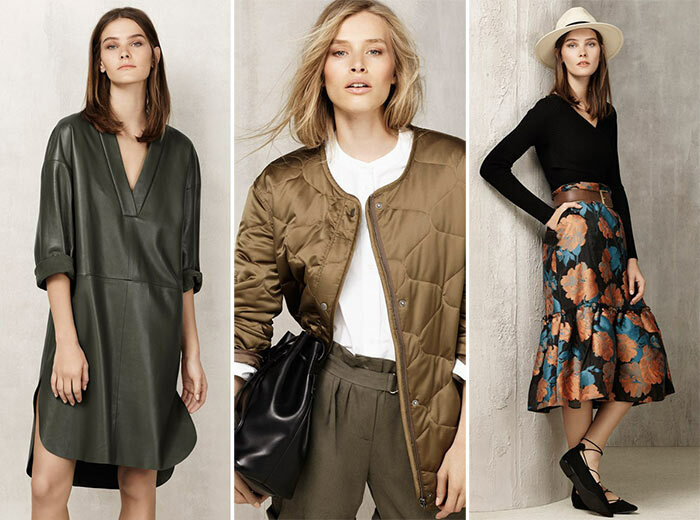 There’s thus always a lot of anticipation in the air whenever it comes to new M&S collections. 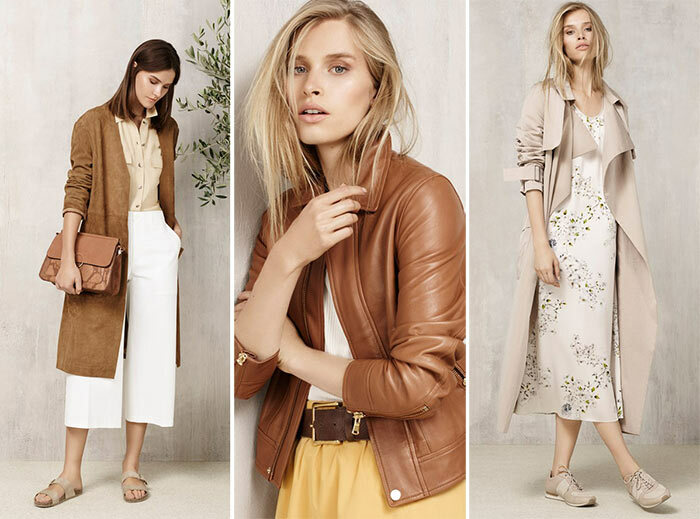 The retailer has just unveiled the Marks & Spencer spring/summer 2016 collection, which features many wearable pieces and a lot of cool designs with Seventies inspirations. The main lines of the collection, particularly the Soft Focus, In the Fold and Modern Utility, consist of easy-to-wear and fashionable pieces, which are basically meant to appeal to everyone. The Retro Mix and the Autograph lines, on the other hand, target those customers, who really enjoy mixing their day-to-day clothes with fashionable dresses straight off the catwalks. While Retro Mix is definitely fancier, Autograph has a more contemporary style. As for the lingerie, M&S put all its efforts to literally satisfy anyone. “Our lingerie customer is everyone from the girl who buys her first bra to the 80-year old woman who has been buying her underwear from us her whole life,” said Soozie Jenkinson, head of the lingerie department. This part of the retailer’s collection includes some interesting innovations too. We absolutely love the sensual alternative to the famous Brazilian knickers, named ‘Rio’ after the upcoming Olympics. In the Modern Utility line-up of the collection, all those who unconditionally love khaki colors will finally be able to find something sweet and trendy, such as the paper-bag khaki skirt, the quilted jacket and the collarless suede coat. Last year’s trendy suede skirt, which has strong Seventies vibes, finds a new interpretation in the collection coming as a D-ring leather skirt, the wrap-around design of which is perfect for elongating one’s figure. 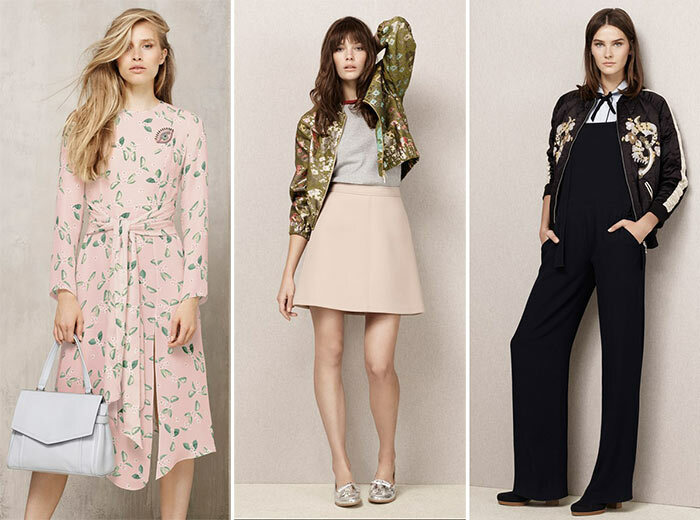 V-neck tunics, A-line skirts and bomber jackets inject a delicate romantic attitude into the collection, while pastel pencil skirts and oatmeal sweatshirts make everything look effortlessly feminine. M&S also enjoys playing with totally different styles, bringing a kimono-sleeved shirt, paired with a bottle green leather skirt, which gets interrupted by casual leather jackets, jumpsuits and lace skirts paired with comfy trainers. There’s even a limited edition line-up, which features appealing modern pointy-toe shoes and elegant dresses adorned with edgy cut-outs and belts. Marks & Spencer takes the season’s metallic trend to a softer turn, creating some Seventies-inspired pieces made of sleek, fluid fabrics. Bell-bottom trousers, tunics and block-heeled shoes undeniably rule the collection, making it possible for anyone to get a fashionable piece at an affordable price. As you can see, M&S really spares no effort in creating eclectic collections, which carefully cater to every woman’s style needs and body shape.